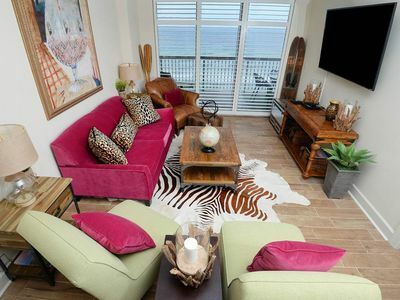 Recently renovated this immaculate Unit is in the Seychelles Condominium Development. 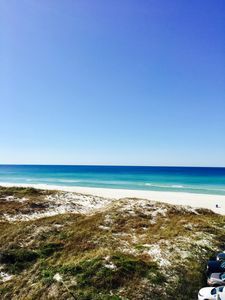 This accessible Development is located at the east end of Panama City Beach 5 minutes from St Andrews State Park and 10 minutes from Pier Park. 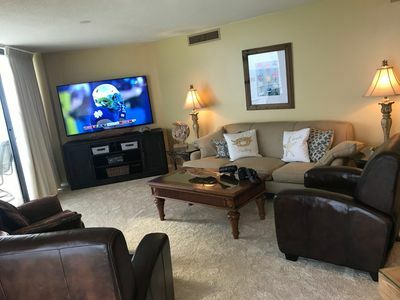 Amenities include workout room, 2 pools, hot tub, and walk out to beach, and popular Schooners Bar and Restaurant next door with live music. There are not a lot of other high rise low density buildings in the immediate area, so the beach is not as crowded as some of the other areas. 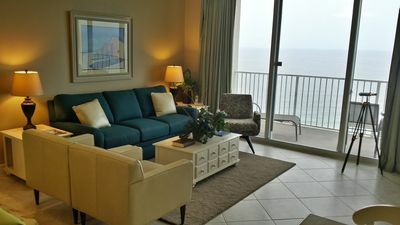 The 15th floor offers amazing views of the ocean and bay, with the perfect vantage point for dolphin and manatee watching. The master suite with king size bed overlooks the gulf with floor to ceiling glass sliding door to the balcony with new balcony furniture. The 2nd bedroom has a Queen sized bed located directly across the hall from the 2nd full size bathroom with beautiful new marble top vanity. It has a small closet and window. 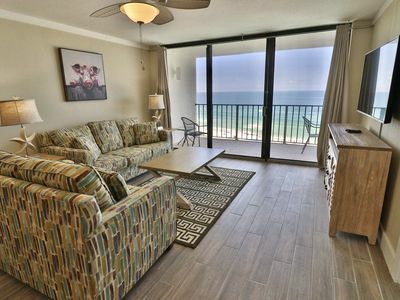 Total square feet of the condo is approx 873 and the balcony is 158 sq feet, a larger balcony than most, since unit is a "middle stack" unit with Master and Living room gulf front. Totally new stainless steel appliances adorn the new kitchen with counter height new granite top eating bar. 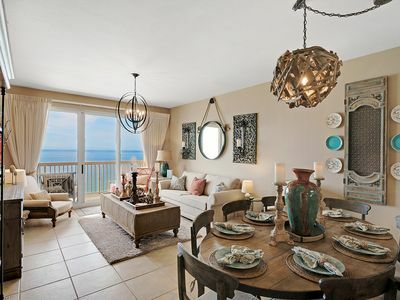 Kitchen overlooks the living room with direct view of the gulf. Living room has new furniture with sofa bed. New tile floor just replaced old tile and carpet throughout living area, hallway, kitchen, and hall bath. Brand new gorgeous cabinets with up- to-dated pulls. Smooth ceilings throughout. 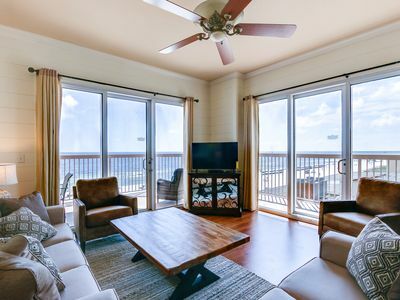 Floor to ceiling glass sliding doors from living area overlooks the gulf and accessible to the oversized balcony. 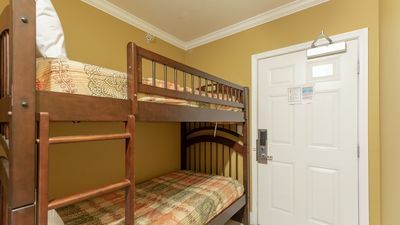 NOTE: Flat screen TVs in all rooms, Free cable, and WiFi Internet Access is available. 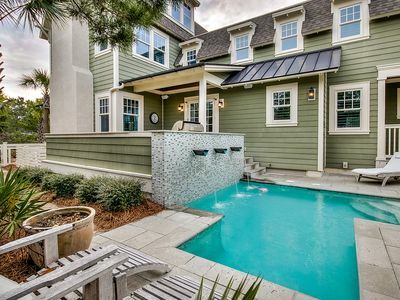 Property has 2 heated pools with hot tub. Game room and Fitness Center right on property. Seychelles is within close proximity to many restaurants and retail shopping. Close by is Patches Restaurant and Bar with their famous Hamburger, and delicious Tuna dip. 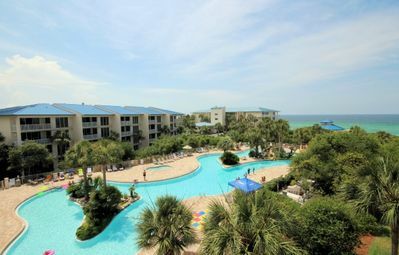 Just a few steps next door is Schooner's 'the Last Local Club on the Beach' with live nightly entertainment during season, great fresh grouper sandwiches, and very close by are Captain Anderson's, Treasure Island, and Club Le Vela, Boatyard Restaurant, Deep sea fishing available. Public golf courses close by. Children's zoo and many more activities. 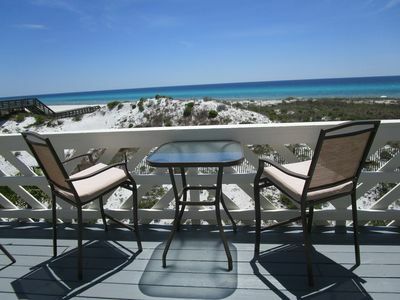 New Northwest Florida Beaches International Airport opened in Panama City Beach, FL in May of 2010. Delta Airlines, American, and Southwest Airlines available here. Only 35 mins away off Hwy 79 North. 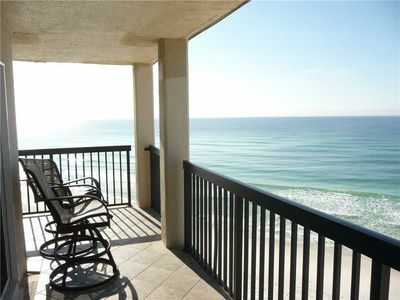 Keywords: Beachfront condo, Gulf front Master bedroom with balcony overlooking Gulf. Next door to Schooners Restaurant. Close to Elevator. Off Thomas Drive. Quiet East End of Beach, free WiFi, internet. Secure Garage parking, Secure keypad for front door. Quiet! 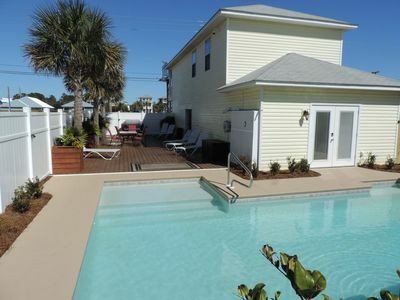 Sunsplash - Next to Pool, Beach & Rosemary w/ Rooftop Deck. 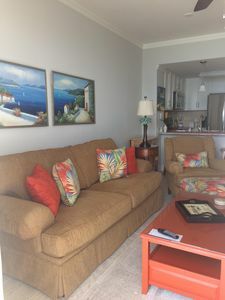 Pinnacle Port Vacation Rentals- C3 building, 3 bdr. 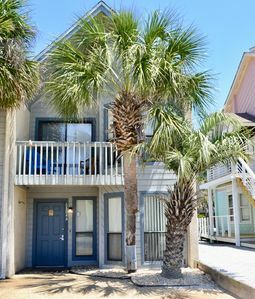 3 bth Wrap around balcony!- gorgeous condo! 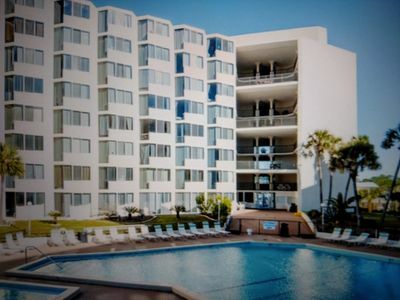 Ocean front master. Walk to Pier Park. Contact Manager for Fall Discounts. 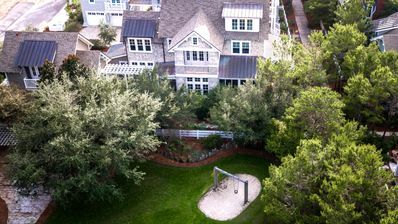 'Lazy Magnolia' - Close to Beach & Pool w/4 Bikes & Beach Chairs! Near Rosemary! 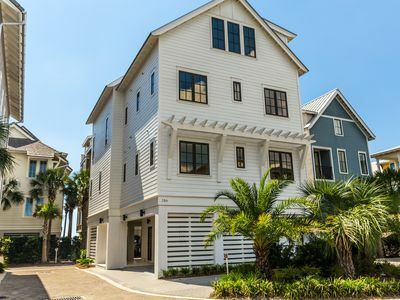 Sunrise 1010 - Spring availability – won’t last long! 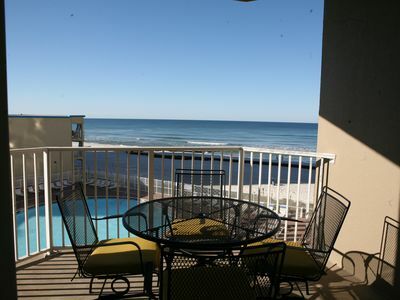 Top Floor Ocean View from Top of the Gulf! 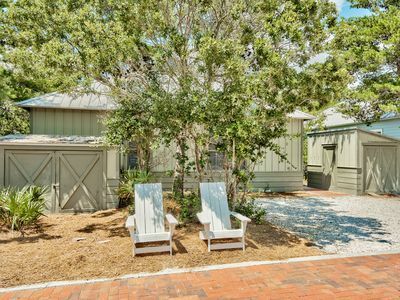 Large Watersound luxury family Beach Retreat w/golf cart that sleeps up to 18!